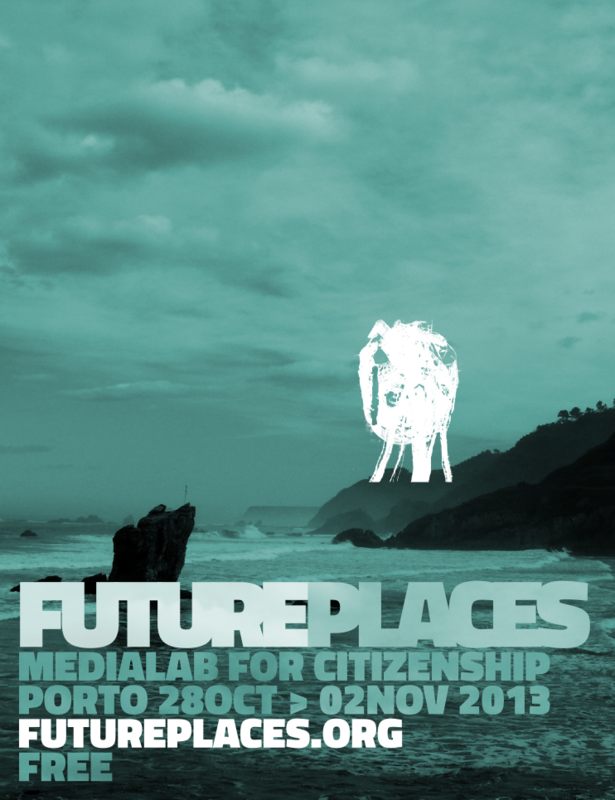 The FuturePlaces medialab, based in Porto, organizes a annual event to serve as a catalyst of the work developed in their citizen labs and a space to interact with the city. Since 2013 we have been responsible for the design of their website and for the post-production of the printed materials for each annual event. Heitor Alvelos, FuturePlaces curator and agent provocateur, takes the lead as Art Director, conceptualising the theme and imagery behind each edition. In this scenario our work consists of adapting the images and concepts to the required print supports — mupi, poster, foldable schedule and stickers — and website. 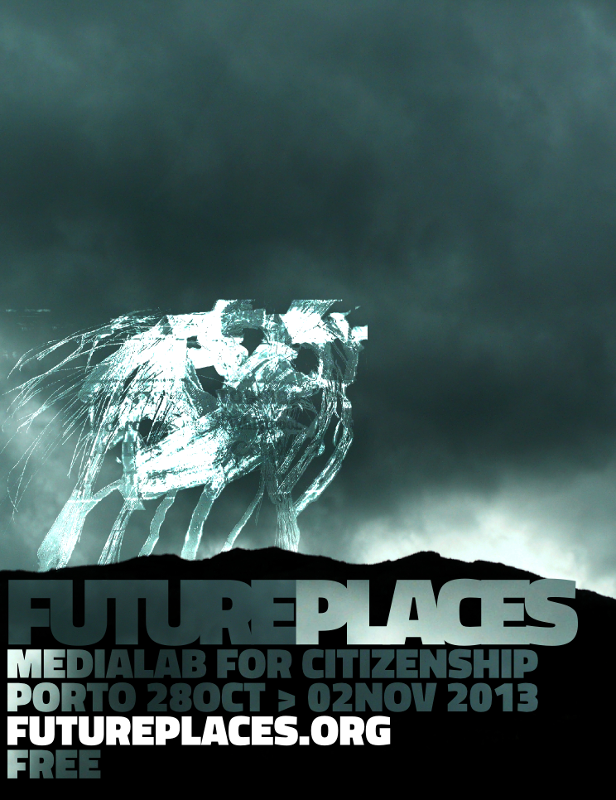 Future Places 2015 is the 8th edition of the festival/medialab rooted on the mix of academia and citizenship. 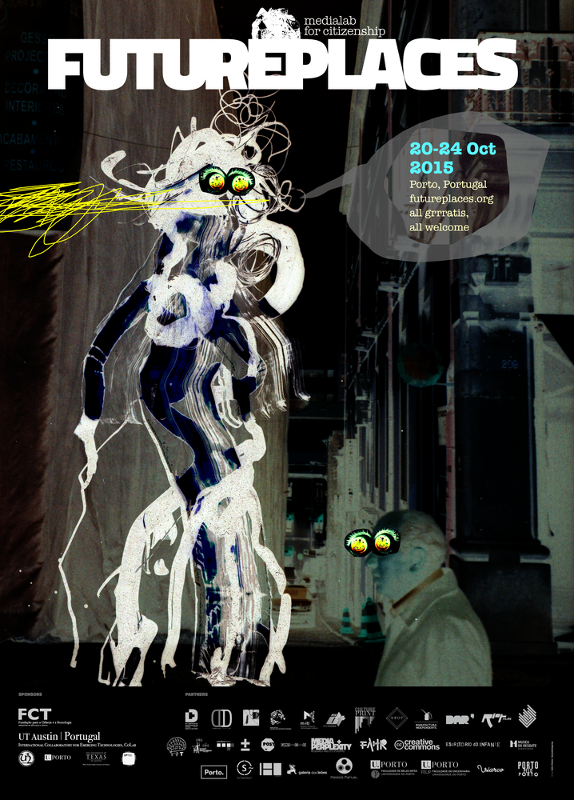 For the third consecutive year, we took care of setting up the festival's communication infrastructure: the website expanded with new sections and refined design; post-production and fine-tunning of printed materials (posters, schedules and stickers). 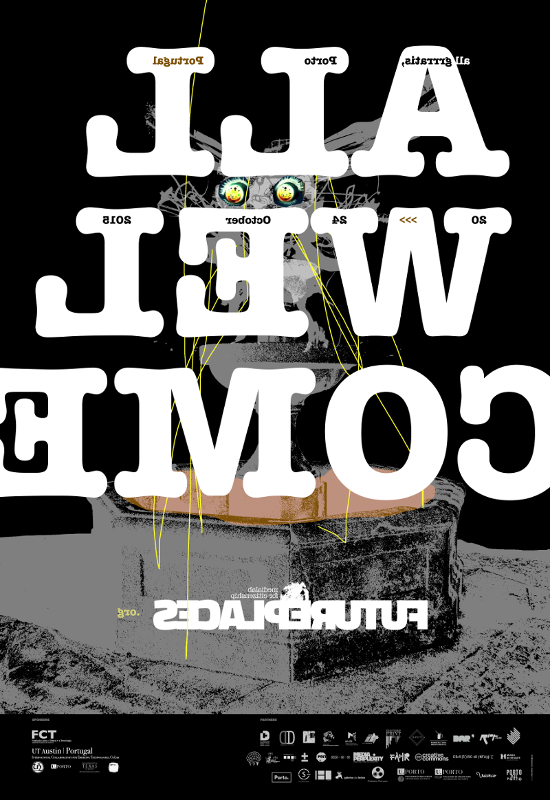 The visual concept and art direction of each edition is the work of Heitor Alvelos and a few regular conspirators of Future Places.